Dell Technologies, the world’s largest closely held technology company, reported growing sales and raised its outlook for the year in the midst of its US$21.7-billion plan to return to public markets. Second quarter revenue increased 18% to $22.9-billion in the period ended 3 August, the Round Rock, Texas-based company said on Thursday in a statement. Adjusted earnings before interest, tax, depreciation and amortisation climbed 13% to $2.46-billion. For fiscal 2019, Dell now expects adjusted revenue of as much as $92-billion and adjusted net income of as much as $5.3-billion. 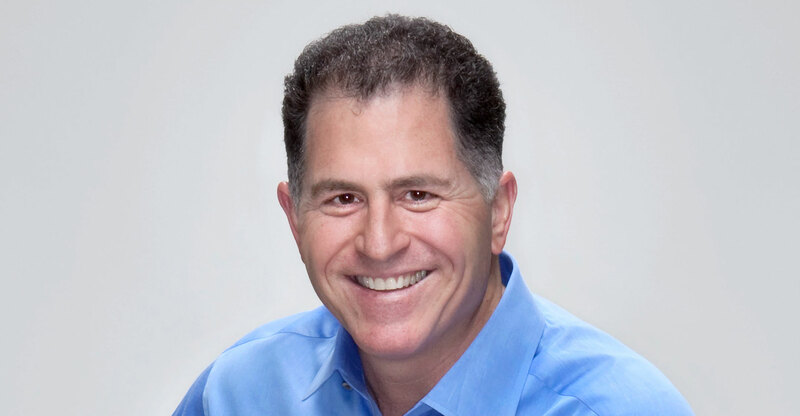 The strong performance in the second fiscal quarter may boost CEO Michael Dell’s efforts to shepherd the hardware maker to a public listing, five years after taking it private. To bolster growth, Dell has revamped its line-up of PCs and sought closer product tie-ups with fast-growing software maker VMware, in which the company owns a controlling stake. The efforts, aided by a favourable environment for corporate IT spending, seem to be paying off. Dell has sought to improve its profits in a bid to service its total debt, which stood at more than $46-billion, excluding VMware and Pivotal, according to a regulatory filing. Much of the debt stems from the company’s $67-billion takeover of EMC in 2016. Dell’s income excluding some items jumped 21% to $1.3-billion in the quarter. Under generally accepted accounting principles, the company lost $461-billion last quarter. Dell’s broad product portfolio spanning hardware and some software has helped the company sign more expansive deals with corporate customers. The company’s server and storage hardware division led sales gains in the most recent period, growing 24% to $9.2-billion. “We operate our complementary family of businesses in close coordination to enable our platform to seamlessly deliver differentiated IT solutions, which is driving revenue synergies and growth that are increasingly reflected in our company performance,” Thomas Sweet, Dell’s chief financial officer, said on Thursday on a conference call with analysts. Dell’s executives didn’t speak at length about the company’s plan for a direct listing. The earnings release marks investors’ last opportunity to see whether Dell is on track to meet its robust sales expectations before voting on the company’s proposal to buy out its tracking stock, DVMT, in October. Dell will host an analyst meeting on 18 September to tout its strategy and review its finances. Dell’s sales growth estimates have directly influenced the company’s stated $48.4-billion enterprise value. The valuation has been a key point of contention in Dell’s effort to return to the public markets, Bloomberg reported in July, with some investors believing that shares of Dell should be worth less than the company estimated.